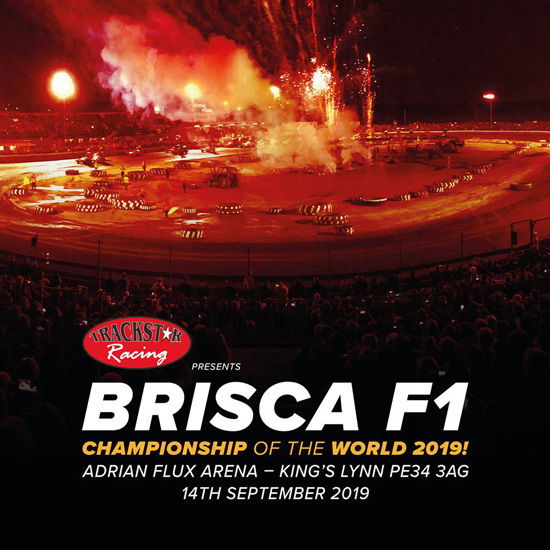 The F1 World final returns to Kings Lynn, where last time around Rob Speak took the honours, as a Speaky fan it was the 4th World Title that I attended. At the time of writing I’ve just finished reading “Shock and Roar” and being in the middle of the Stuart Smyth book “Overalls Off”, so I’m on a bit of an F1 overload at the minute. There is no greater spectacle in oval racing than the F1’s on their big night and I’m hoping to make it to another F1 World this year. In the late 90’s early 00’s I attended a number of UK Speedweekends, mostly when it was shale and mostly on family holidays. The first year it switched back to tar the weather was terrible and it was a bit of a sickener it then became one of those “definitely next season” things, well hopefully that is going to translate to “hopefully this season”. With the NEC reported to be getting more and more expensive the Motorsport with Attitude show was launched last season. A show with a rooting in Oval Racing that looks like it’ll be a good one. Hopefully there’ll be a few bits and pieces from other sports, certainly Autograss looks like being well represented. Hopefully the show works out. 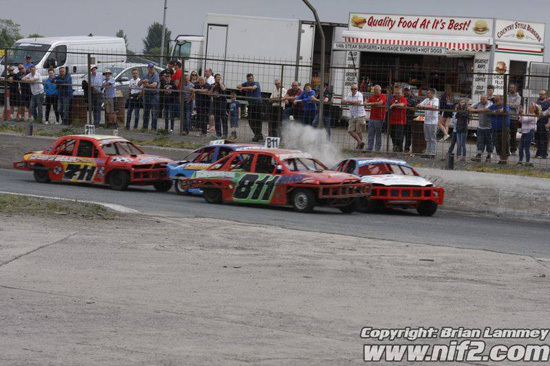 Since their re-introduction to the province the Superstox have been superb over their September weekend and I’m sure this season will be no different. It has become my highlight of the DMC calendar. I really enjoyed the Sunday of the F2 weekend last year, hopefully the F2’s continue to recover in numbers from their rule changes and we get a few more cars this year and another decent weekend weather wise. In 2018 the Saloon numbers turned a corner and their Irish Championship weekend was probably one of the biggest turnarounds in numbers that I can remember. The weekend didn’t clash with or wasn’t just a week away from any other big meetings and the class got good numbers. I insisted I was definitely going and now I can’t remember why it turned out that I watched it on facebook live instead. This year I’m determined to make it, or a day of it at least. 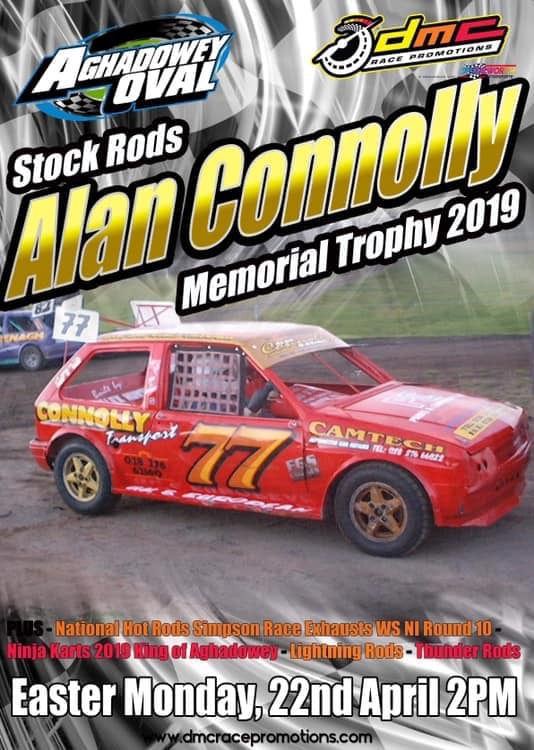 There are a lot of memorial trophies in stockcar racing for drivers I don’t remember, or didn’t know much about when they were racing and it means you don’t really have that personal connection with their memorial meeting. This one is different because I do remember Alan racing, I remember him picking up multiple championships, when he was on track in a stock rod he was always one of if not the man to beat. Sadly illness cut his racing days and ultimately his time short. 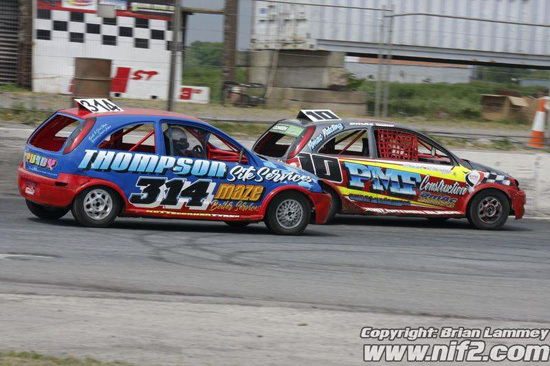 Hopefully the first running of his memorial meeting will bring about the sort of car numbers that make it a real festival of the sport and make it one to remember. 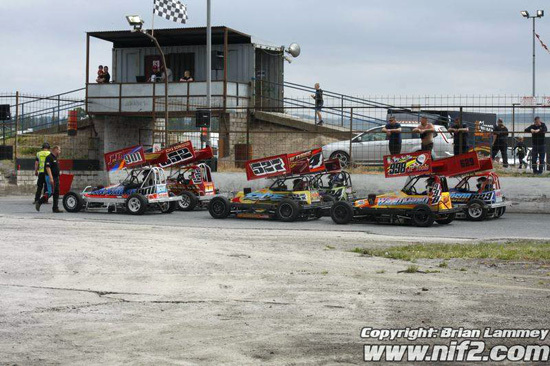 Once again in 2019 NIOvalTV is sponsoring the Superstox series. Our Shootout format we ran for the first time in 2017 worked OK but the shootout final was over by the end of the first lap, in contrast in 2018 it went down to the last bend and provided the proper last lap, last lap action you want to sign off a series, one of those races that makes you want more. Our series hasn’t been kind to me as a driver, but it’s been great to stand back and watch, hopefully it’ll provide more of the same this time around. The recent decline in ProStock numbers are starting to make them look like a dead man walking, it’s hard to imagine that the increase in Rookie Bangers and Back to Basic Bangers won’t have a further impact on car numbers, but when it comes to championship time they seldom let the crowd down. 2019 sees the third staging of the ProStock World Cup here and while it’ll take a turnaround like the saloons have seen to see a decent grid of cars for it, the one thing I’m sure of is that they’ll make up for it in action. 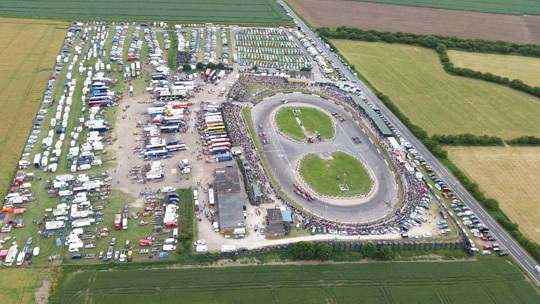 At the start of 2018 the ORCi Stock Rods were probably on an even keel with their Spedeworth Twin but with the demise of Barford and some drivers moving across to Spedeworth I think the class will struggle to put out a full grid of cars for the World Final at Nutts Corner. From a racing point of view I also think there’ll be lower profile DMC Stock Rod meetings that’ll be better, but nonetheless this will be the first time Nutts Corner will have had the chance to host a World Championship for one of their current classes, it’s unlikely they’ll have the opportunity to host the F2’s or Saloons (although we can but hope) so a Stock Rod World Final is really about as big a bit of Silverware as they can stage. It’ll be good to see how it pans out. 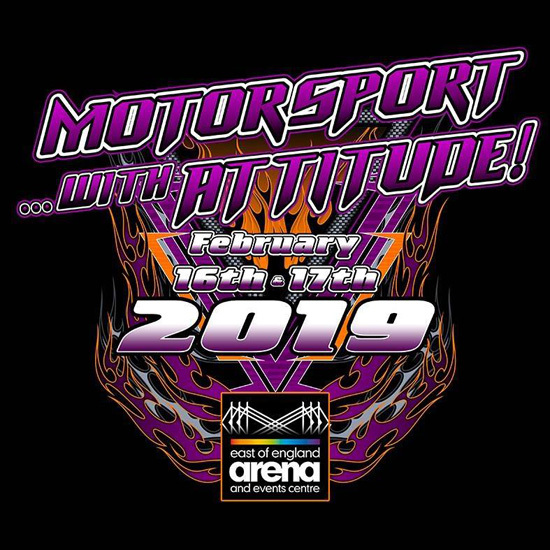 It’s usually 10 points or meetings I pick, but I could easily have extended it to include the British Autograss Series Round at Mallow and the Lightning Rod World at Tipperary, both events I’d like to get to, but we’ll just have to see how it goes.